I'm looking at 44220 Pentwater on www.realestateone.com.com and would like some more information. Gorgeous colonial with no maintenance exterior. Roof, windows and siding updated in 2002, newer Trex deck in 2010, new sump pump, newer hot water tank and updated kitchen with maple cabinets, lazy susan and some pull out shelves, spice cabinet, pull out garbage, stainless steel appliances, under cabinet and crown lighting, granite counters, stone backsplash, instant hot water, and updated lighting, newer hardwood floors in the living room and dining room, kitchen opens into family room with cathedral ceiling, exposed beams and natural fireplace, large master bedroom with soaker tub and shower, updated vanity, main bathroom with ceramic tile floor & shower and double sinks, partially finished basement. Elementary school inside the sub and 1 mile walking path. Low annual dues include snow removal and front entrance maintenance. Occupancy could be sooner. Seller willing to sell most furniture with the home. Mirror in first floor bath excluded. 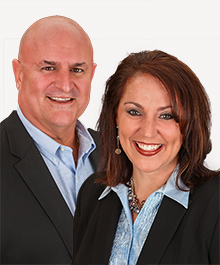 Our Michigan real estate agents can answer all of your questions about 44220 Pentwater, Clinton Township MI 48038. Real Estate One, Max Broock Realtors, and J&J Realtors are part of the Real Estate One Family of Companies and dominate the Clinton Township, Michigan real estate market. To sell or buy a home in Clinton Township, Michigan, contact our real estate agents as we know the Clinton Township, Michigan real estate market better than anyone with over 100 years of experience in Clinton Township, Michigan real estate for sale.